If there is a country that truly captures the essence of travel itself, it may be Morocco, a nation of sparkling beaches, epic mountains and grand medieval cities that has entranced visitors since the Romans arrived 2,000 years ago. In fact, the country's most famous figure and national symbol is perhaps the greatest traveler of all time, Ibn Battuta, the 14th century explorer who traveled more than 75,000 miles from his home in Tangier to China and back. Located in the northwest corner of Africa, Morocco maintains an Arab and Islamic culture infused by African, Bedouin, European and Mediterranean influences that have melded over thousands of years. This unique heritage and history lives side-by-side with the dynamic and vibrant energy of modern Moroccan cities where the demand for foreign English teachers has skyrocketed in recent years, making teaching English in Morocco a great way to experience all that this alluring nation has to offer. To get started, here are seven reasons why Morocco is a fantastic destination for teaching English abroad. While French has long been widely spoken in Morocco, English is fast becoming the preferred second language for many young Moroccans in particular who are eager to learn the world's international language of commerce and culture. Language schools and academies are growing in number throughout the country, creating new jobs every year for teaching English in Morocco. Most English teachers in Morocco are employed in private language schools that cater primarily to adult students in business, university or tourism. 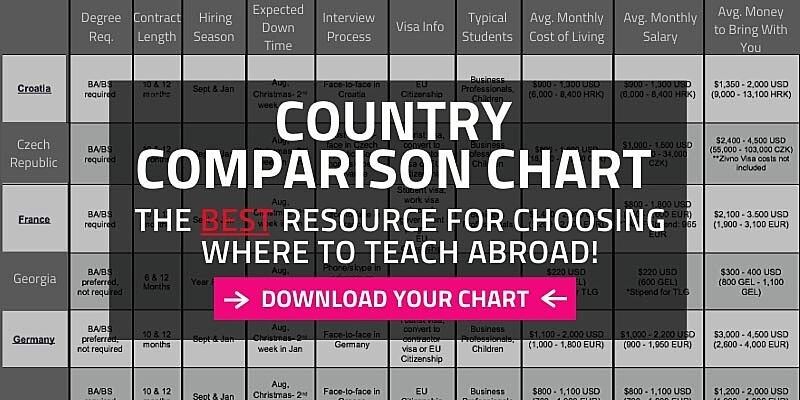 Most schools hire locally and a TEFL certification is typically required, as is a four-year college degree. Wages are modest, but a low cost of living enables most English teachers to live a comfortable lifestyle, especially by local standards. It’s the country's most famous destination, a cosmopolitan and crowded city bustling with colorful markets, medieval palaces, elaborate gardens, and innumerable restaurants, hotels, and historical monuments. Tradition is important here and in many respects, life has changed little since the 11th century. The epicenter of Marrakesh is “Djemaa el fna square”. Here you will find an enchanting array of snake charmers, donkey carts, street performers, story tellers, and roadside commerce that transforms the city into a festival of sights and sounds. Head to the Koutoubia Mosque, the most famous symbol of Marrakesh, and even if you get lost, take your time to wander through the endless maze of alleys and side streets that comprise the city's legendary souk (bazaar). Bartering here is essential!!! Spend the sunset around the Baddi Palace, and be delighted by the ostentatious arabesque decor of the walls and ceilings, complete with real gold details. After the sunset, just check out one of the 1,001 restaurants and bars where you surely can find some belly dancing - it’s time to relax and enjoy the romantic side of Marrakesh! After finding a safely guided group to go with, explore the beautiful terrain of the Atlas Mountains, a paradise for walking and trekking where you can climb the top two highest peaks in North Africa. Believe it or not, you can even ski during the winter! But another experience that mustn’t be missed is a camel ride (usually followed by a traditional outdoor feast) in the Sahara desert! 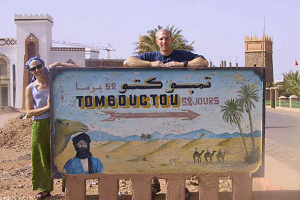 Talk about Lawrence of Arabia-style adventure!!! The Sahara is the largest desert in the world and stretches across almost the entirety of North Africa. It covers more than 3.3 million square miles in 10 countries from the Atlas Mountains and the Atlantic Ocean in the west to the Mediterranean and Red seas in the east and the Sahel Region to the south. Visiting the Sahara will definitely be a once in a lifetime experience. Enjoy it and discover the magic of the desert! Morocco's beaches are legendary for their beauty. The beaches from the Atlantic Ocean are the most visited by tourists and are not far from the big cities. Dakla Bay is a great spot to enjoy grand sand dunes, startling beaches, cliff drops, and especially watersports! Windsurfing, kitesurfing, surfing, short boarding and body boarding are just some of the options. If you prefer the tranquility of the Mediterranean you will be welcomed with calm and more intimate beaches. This Mediterranean coasts offers thousands of romantic choices for hotels and resorts for all budgets. Tamuda Bay in particular is a favorite destination and Tetouan has hosted the international Mediterranean Film Festival on multiple occasions, attracting international stars and artists from around the globe. Moroccan food is well known for its distinguishing flavors and alluring aromas created by an array spices and textures. Enjoy fresh baked bread, couscous, tagine and kefta (ground meat grilled on skewers), which are some of the nation's most famous delicacies. Fantastic dips, sauces and salads accompany all dishes. Given its access to the Mediterranean Sea and the Atlantic Ocean, it should be of no surprise that fresh seafood is also widely available and prepared in a multitude of styles. While teaching English in Morocco, you will quickly discover that no social event or gathering is complete without sharing a glass or two of Morocco's famous mint tea, which is typically served with a hefty dose of sugar. Tea time is a fixture in the Moroccan culture and is always accompanied by good conversation, whether it be a political debate, a discussion of the daily football scores, or just plain old juicy gossip. Best known in the U.S. for the legendary Humphrey Bogart and Ingrid Bergman film that bears its name, Casablanca is the largest city in the country and the center of economic and cultural life. 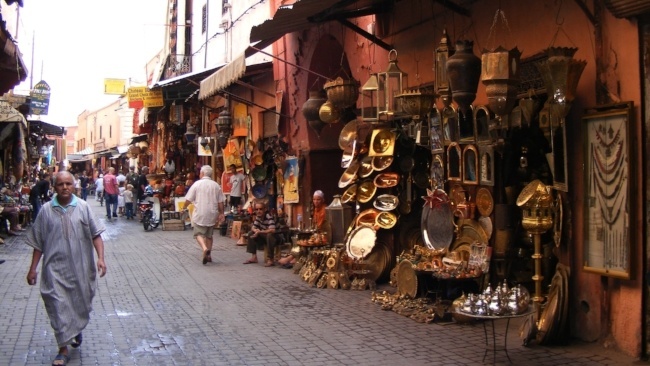 Here you will discover the dynamic energy of modern Morocco with its vibrant cultural scene, including a vast array of art galleries, boutiques, eateries and cafés. A major highlight is the Hassan II Mosque, the third largest mosque in the world, which is known for its beautiful traditional style Moroccan architecture. Delight your eyes with the beauty of the craftsmanship of the wood, marble and inlaid accent pieces. A bit of a modern touch is the glass floor that will allow you to see the ocean below your feet (because the mosque is built above the ocean). Then watch more years of history roll by in the “Square of Mohammed V”, one of the most popular places to visit in Casablanca, where a large number of fountains and historical buildings are concentrated. And if you think it's time to spend your “dirhams," enjoy haggling with local merchants in the surrounding souks and markets. As an English teacher you will personally enjoy and appreciate the traditional hospitality and welcoming spirit of the Moroccan people, who always try to help you and make you feel at home. Whether it's working with your students, enjoying a laugh over a cup of tea, or attending a festive occasion like a wedding, Moroccans will welcome you into their lives and into their homes. If you are looking for that Middle Eastern culture with the Mediterranean feel, Morocco is a place that will grab your heart and leave a smile on your face forever.